Peter Fury has responded to speculation that Tyson Fury has signed a promotional deal with Frank Warren, confirming that this is not the case. The uncle and trainer of Tyson has clarified Hennessy Sports’ position, that his 6’9″ nephew continues his long standing and successful relationship with Promoter Mick Hennessy. “Our Promoter is still Mick Hennessy!! We are currently awaiting the contract in a co promotion with Box Nation. Only then the deal is Done! !” Peter tweeted. 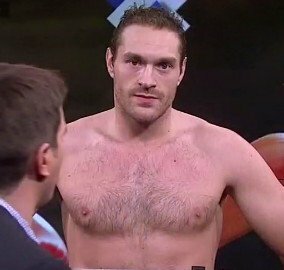 Mick Hennessy and Hennessy Sports would like to set the record straight following speculation that Tyson Fury has signed a promotional deal with Frank Warren. The 6’9″ undefeated heavyweight remains with Hennessy Sports contrary to reports and continues his long standing and successful relationship with Promoter Mick Hennessy. “These reports are not true, we have had a verbal offer from Box Nation for Tyson to appear on three of their shows, but as yet have not received any contract to look at and consider,” Mick Hennessy said.